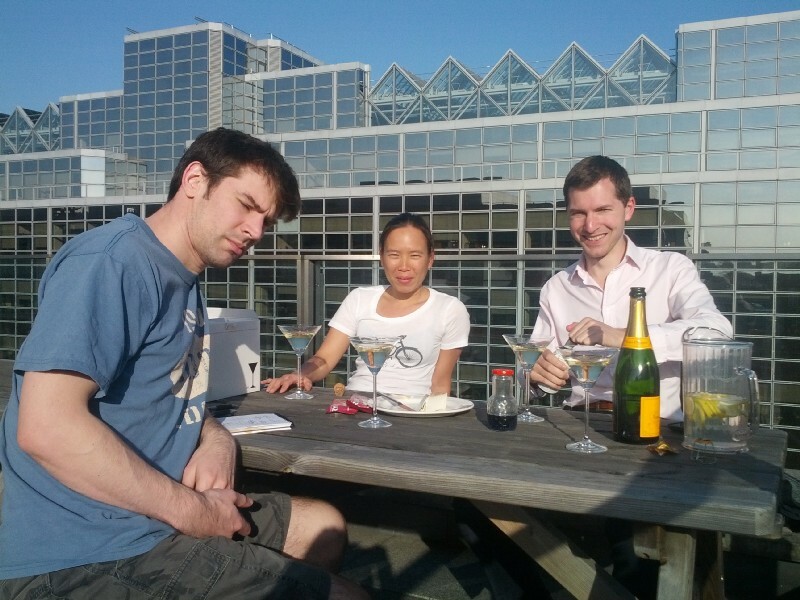 Drinks on the balcony at work. 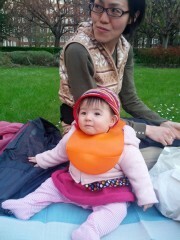 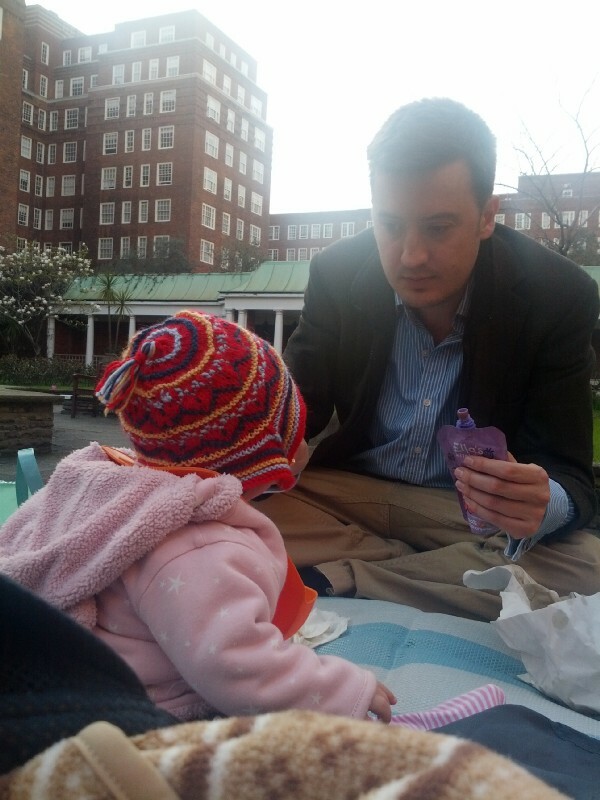 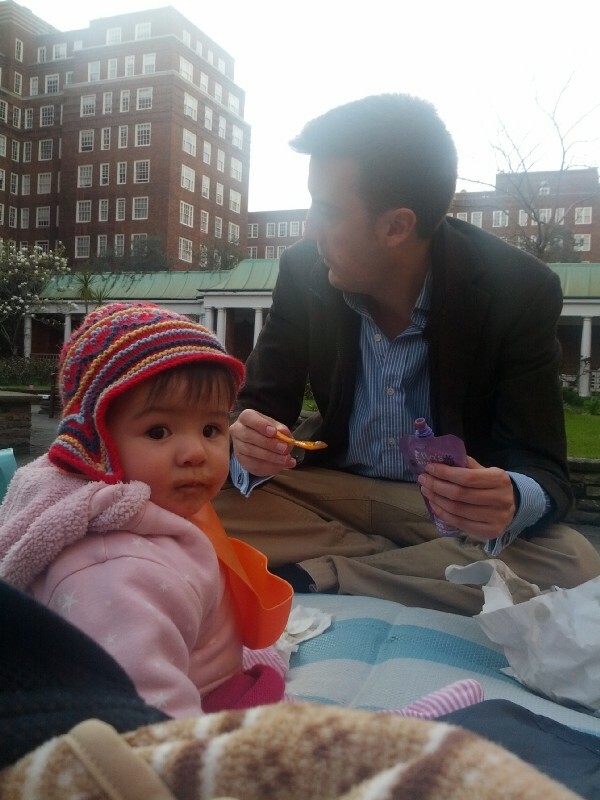 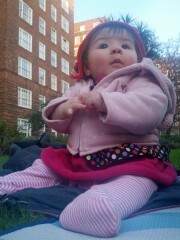 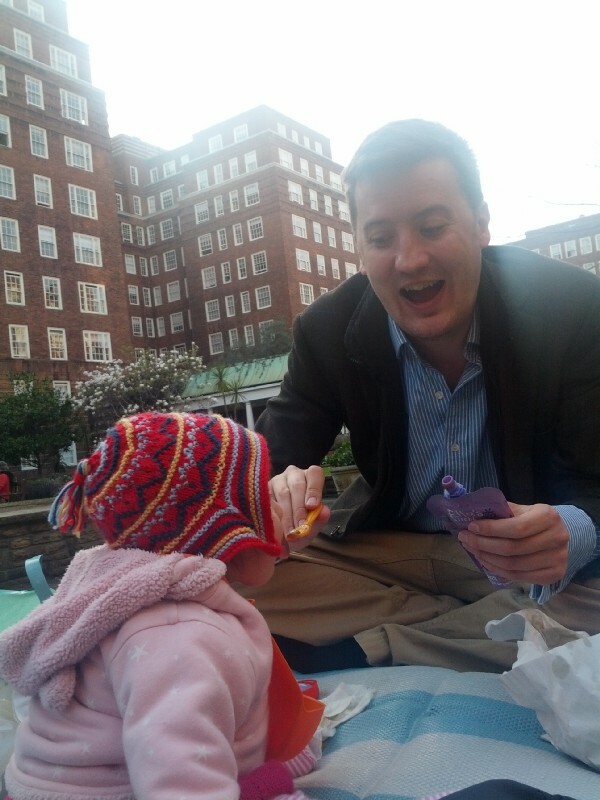 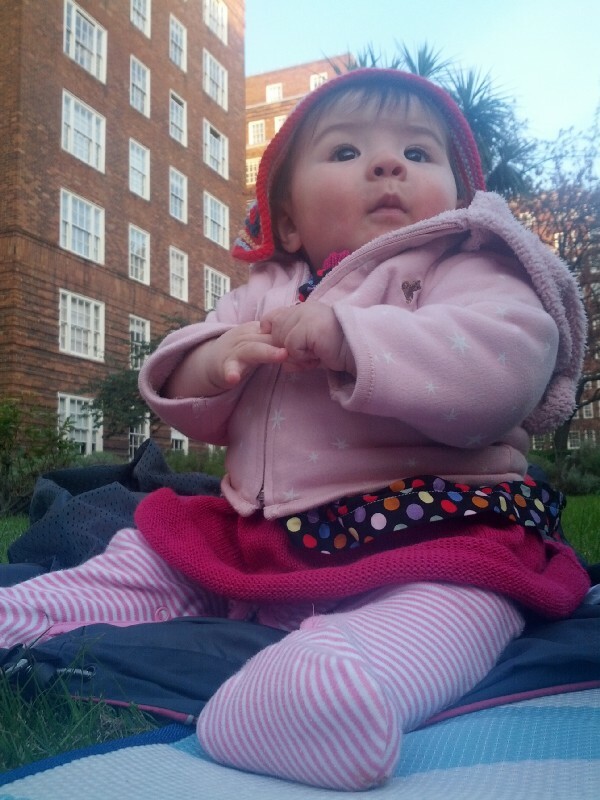 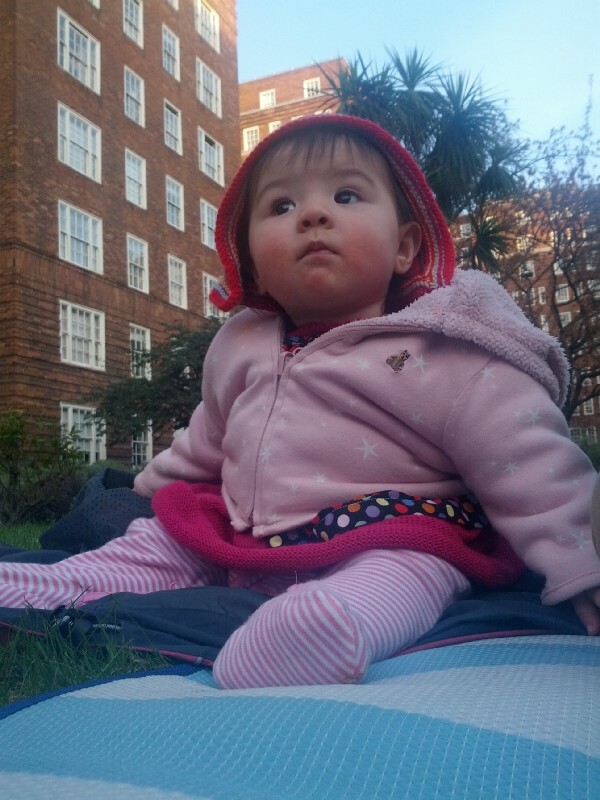 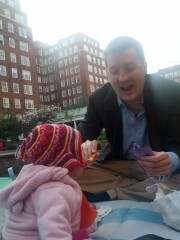 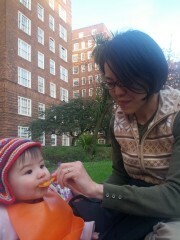 Dinner was a picnic out in the garden (not sure Erika really needed this many layers!). 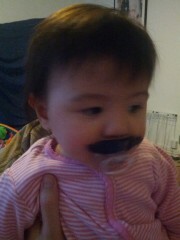 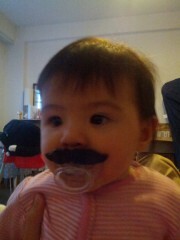 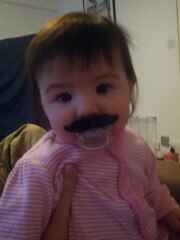 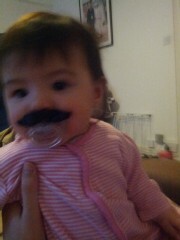 Erika's new dummy. 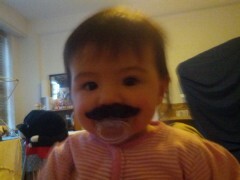 With a moustache on it.